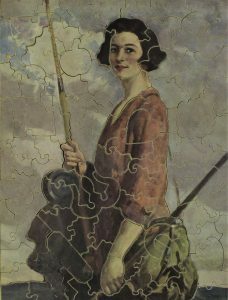 Jigsaw puzzles are an international pastime tailored to a myriad range of interests and skill levels. 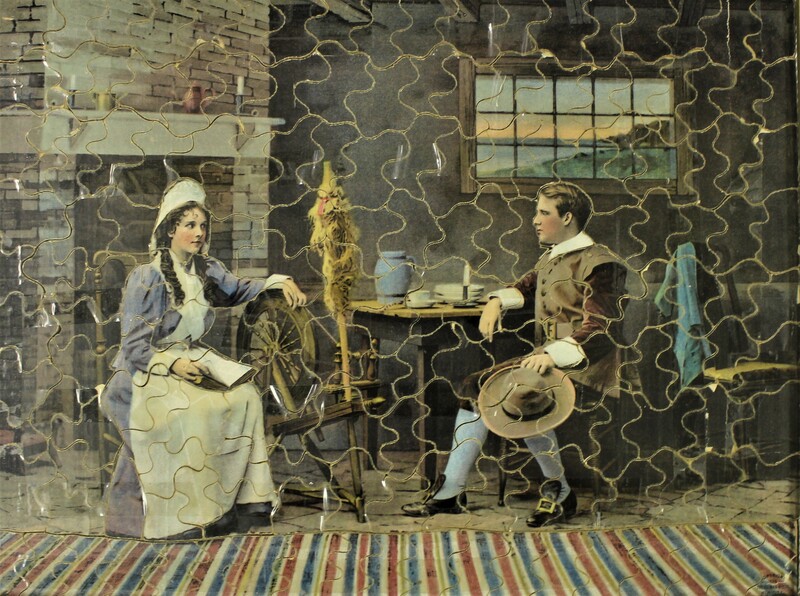 The premise of the jigsaw puzzle is simple: an image, applied to a rigid surface such as cardboard or wood, is cut into interlocking pieces that, when reassembled, display the original picture. Puzzles have evolved through changes in technology and to match the interests of each new generation. As a result, physical jigsaw puzzles and online versions are available for today’s users. 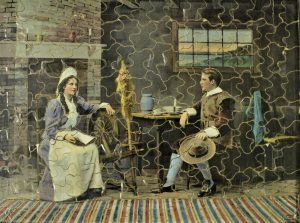 In Pieces: The of Vintage Puzzles looks back to the late 19th and early 20th century heyday of the puzzle, when manufacturers across Europe and the United States brought their products to market – as toys for children and adults, teaching aides, advertisements, and promotional gimmicks. 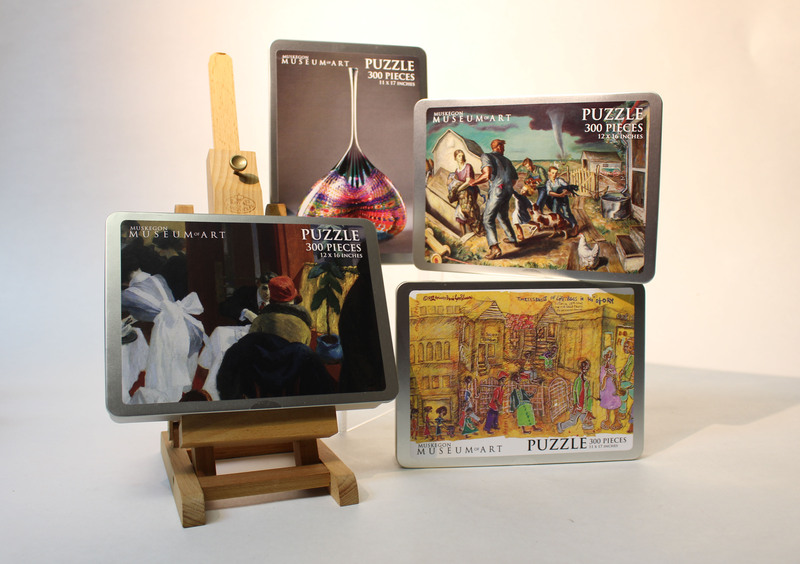 This collection of vintage puzzles comes to us through the estate of André Aerne, a passionate collector not only of puzzles, but also stamps, ceramics, and art. The Muskegon Museum of Art hosted an exhibition of Aerne’s Clarice Cliff ceramics in 2010, and is pleased to present his puzzles to the public for the first time. 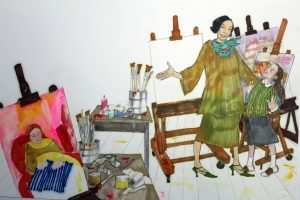 This collection presents an intriguing look into the past and an opportunity to see history through the visual objects that informed peoples’ everyday experience and understanding of their contemporary world. Puzzles featuring artworks from the MMA collection are now available for purchase in the MMA Store. Patricia Polacco is well known for her beautifully written and illustrated books that weave stories from her life into pages that have captured the imaginations of generations of readers. This exhibition highlights a selection of her books that celebrate and honor educators that made a difference in her life. Each book addresses a piece of Patricia’s childhood, from bullying, to learning difficulties, to teachers that pushed her to be her very best. Her books are honest and sometimes raw, exposing themes or issues that can be difficult to confront. 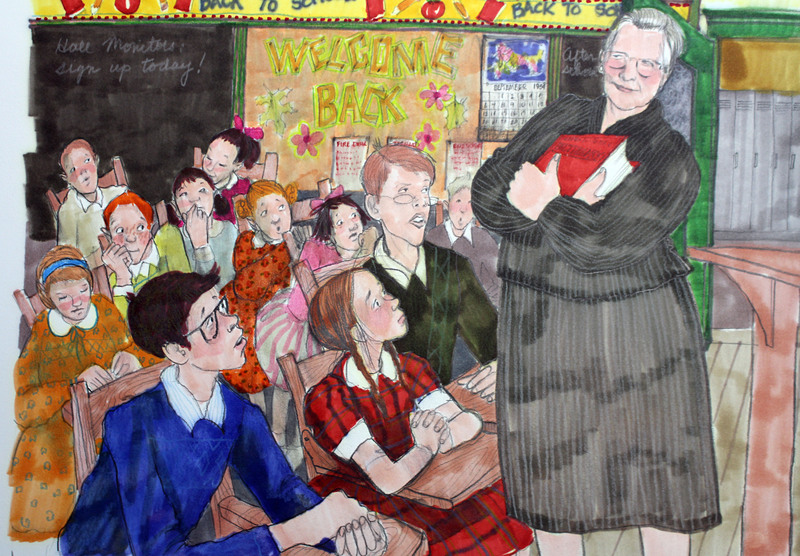 This collection of stories is a striking reminder of the importance that good educators can play in a child’s life. 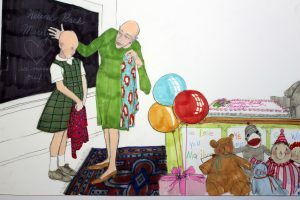 The exhibition features original art for Thank you, Mr. Falker, An A from Miss Keller, The Art of Miss Chew, The Lemonade Club, The Junkyard Wonders, and Mr. Wayne’s Masterpiece. 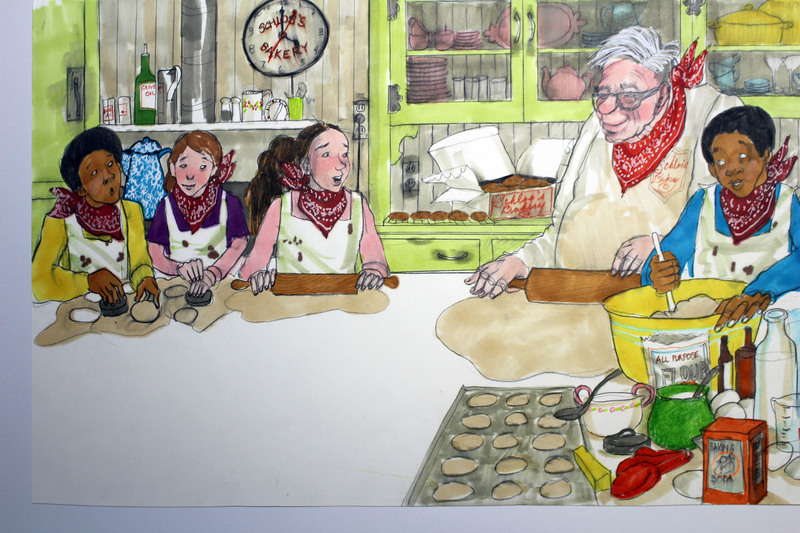 Don’t miss your chance to meet the famous Michigan author and illustrator Patricia Polacco on Thursday, April 25. Pick up one of Polacco’s books in the museum store to enjoy a free book signing from 1:00 to 3:00 pm with a reception to follow from 5:30 to 7:00 pm. 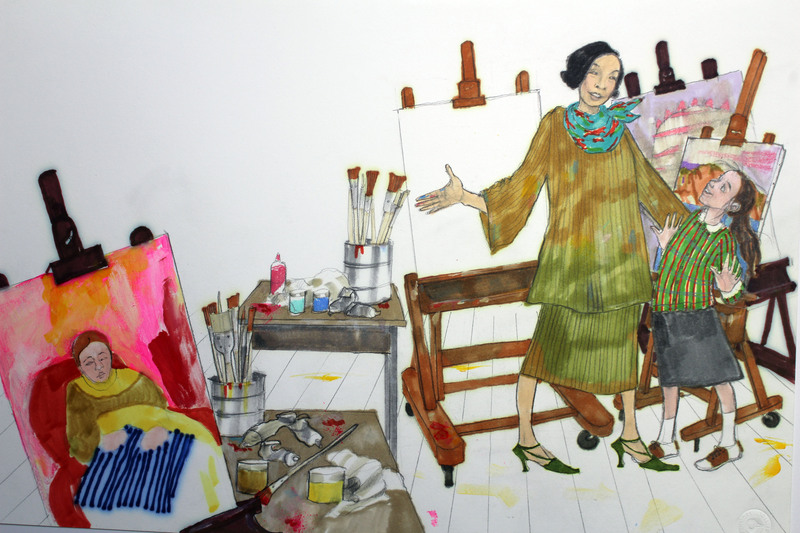 Join us in the auditorium for a lecture by Polacco herself at 7:00 pm. Free and open to the public. Refreshments will be provided.